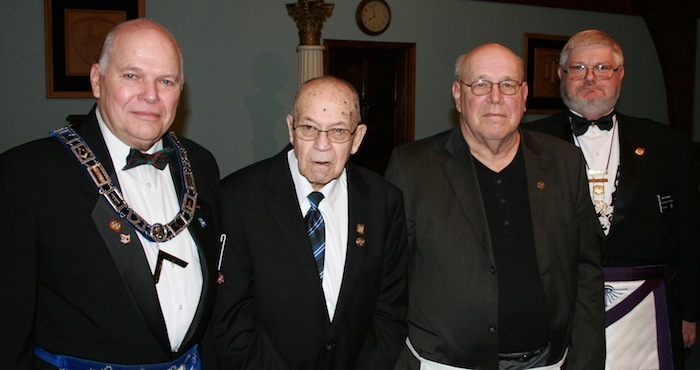 A special meeting and dinner recently took place at Argus Lodge in Canfield to honor those who have been members for 50 years. Honorees were presented with certificates and lapel pins. The recipients were WB Henry S. Fletcher and Fredrick L. Marshall. Above, from left, are WB Eric Cahalin, Fletcher, Marshall and RWB Mike Duhamel. November 26, 2010 9:44 a.m.
February 21, 2012 8:14 a.m.
March 6, 2011 10:47 a.m.